The anti-slaughter lobby would win even greater support if it openly engaged in a debate over what to do with America's unwanted horses, argues Alex Brown. "Of course I am against horse slaughter, but what will we do with all the unwanted horses?" This is a common response when asking American horsemen their opinion on horse slaughter. The practice is abhorrent and largely unregulated (Google "horse slaughter" for evidence of the inhumane practice). But is horse slaughter really necessary? The pro-slaughter camp has done a good job of alleging a need within the North American horse industry to dispose of "unwanted" horses. They claim they are fulfilling that need by slaughtering horses in numbers ranging from a high of 377,078 in 1989 to a low of 77,713 in 2002, according to United States Department of Agriculture (USDA) figures. To this camp, every horse slaughtered is "unwanted" by definition. It is unfortunate that this means of disposal also allows breeders to slaughter foals that do not have the perfect conformation necessary for their discipline. Thus slaughter enables over-breeding, while permitting the industry to allow breeding policies that are not consistent with demand. Breeders have an economic incentive to support horse slaughter. A faction of the anti-slaughter camp refuses to acknowledge the existence of any unwanted horses. They propose that the notion of unwanted horses is simply a convenient myth developed by the pro-slaughter lobby. Unwanted horses do exist and to argue otherwise creates a problem. However small the actual number, by arguing that they don't exist removes the opportunity for a dialogue to seek out humane solutions for those horses who are no longer wanted. Denying that unwanted horses exist also eliminates the opportunity for a debate over the number of unwanted horses that would need to be accommodated following a ban on the slaughter of American horses. Most horse owners believe there are "unwanted" horses and are concerned with what we should do with them. They will believe the side that acknowledges that unwanted horses exist - and that is all too often the pro-slaughter side. A dialogue involving the anti-slaughter side over unwanted horses is likely to appeal to horsemen, who will then be more willing to actively seek and support solutions for unwanted horses under a slaughter ban, and to speak out against horse slaughter. This report sets out to establish that horse slaughter is a demand-driven business, rather than a business developed to simply perform a disposal service for the horse industry. It argues that there is a population of unwanted horses, but that this population is much lower than the number of horses slaughtered. Finally, it identifies current solutions and proposes additional solutions for the unwanted horse problem - solutions which can rid the horse industry of the perception of the need to send our horses to slaughter, which is not humane euthanasia. If slaughter were necessary and simply served as a disposal service for the horse industry in the US, then we would expect to see a relatively constant number of the horse population slaughtered each year. In order to meet the demand for the foreign horse meat industry, kill buyers, and horse dealers who act either as kill buyers or work directly with kill buyers, have become quite adept in acquiring horses from unsuspecting sellers who assume their horses are going to good homes. But when we look at the data we see the number of American horses slaughtered fell drastically during the 1990s while the horse population grew at 3% to 5% a year. There are also large fluctuations on a year-to-year basis in the number of horses slaughtered. Between 1993 and 1994 slaughter decreased by 92,000 horses, more than the total number slaughtered in 2002. Fluctuating numbers of slaughtered horses does not support the notion that these horses are simply unwanted horses. On top of the lack of consistent number of horses slaughtered, there is also no corresponding negative change in the number of abuse cases (stemming from neglect and starvation) reported as the slaughter numbers fluctuate. One would expect to see an increase in the number of abuse cases with a decrease in the number horses slaughtered and vice versa if horses slaughtered are simply unwanted. And while Cavel - a horse slaughter plant in Illinois which closed in 2007 - was rebuilding from its fire in 2002-2004 there were about 51,000 fewer horses slaughtered but the number of abuse cases in Illinois quit rising and actually fell. In the face of these numbers, the argument that slaughter provides a necessary outlet solely for unwanted horses in the market begins to fall flat. We would also expect the slaughter numbers to increase in hard economic times or in times of drought, but instead the lowest number of horses slaughtered came during the last recession of 2001-2002. Fluctuating slaughter numbers, the lack of negative correlation with abuse case numbers and the lack of increase in slaughter numbers during our toughest economic times is the first indication that the slaughter business is actually a demand-driven business to satisfy foreign cuisines rather than simply a supply-side service to remove surplus horses from the industry. Fluctuating slaughter numbers are driven by demand for horsemeat. This in turn has been impacted by the fluctuating availability and skeptical consumer confidence in beef and other meat products, particularly during outbreaks of mad-cow disease in countries that were once relied upon as a source of European Union and Asian beef imports. It also suggests that horses sent to slaughter were not necessarily at risk of abuse in the first place. Our second indication that slaughter is demand-driven is the means of horses getting to slaughter. Most horses sent to slaughter from North America are sent to slaughter houses via kill buyers who hold contracts with the slaughter houses to supply a certain number of horses. This is evident at horse sales when kill buyers are willing to overpay for a horse in order to fulfill a contract, or sell back a horse to a rescue, for a markup, for horses that are not needed for the current contract. Thus the number of horses slaughtered is not simply the number of unwanted horses made available for slaughter (data collected from the USDA under the Freedom of Information Act suggests only 1% of horses slaughtered are walk-ins) but the number demanded by the slaughter house contracts. Where do the slaughtered horses come from? Given significant fluctuations in the numbers of horses slaughtered each year, and the lack of negative correlation with the number of abuse cases, it is hard to make the argument that the horses slaughtered are simply horses that are unwanted and prone to abuse. Horses that are quite useful end up at kill auctions and would have a home if the right customers were in attendance and aware of the situation. In fact, the population of unwanted horses must be smaller than the number of horses slaughtered in the year where the least number of North American horses were slaughter (2002). The figures do not support an alternative explanation. Many horses are sold over the internet on sites such as Craigslist as "free to a good home". Dealers and kill buyers are more aware of these avenues to buy horses cheaply than are potential customers - the genuine "good homes" who only make few and infrequent purchases. Essentially, many horses sold with good intentions end up in the slaughter pipeline in order to satisfy the demand for horse meat in Europe and Asia. I have personally witnessed sound and young horses going through a kill auction. Their options are to be purchased privately (it does happen), rescued, or purchased by the kill buyers who are the largest and most important clients of the kill auction. Not only are horses surreptitiously purchased from unsuspecting sellers to enter the slaughter pipeline, but horses are also stolen and sold for slaughter. In the seven years after California's bill outlawing slaughter and export from the state for slaughter, the rate of horse theft dropped 34%, according to California Bureau of Livestock Identification figures. A horse that is stolen in Pennsylvania on Sunday can be sold at New Holland on Monday and will be slaughtered in Canada by Wednesday afternoon. Horses that enter the slaughter pipeline, via horse auctions, are anonymous. This anonymity clearly enables a horse thief to gain a quick return on his work. The slaughter house does not care for the horse's history. The slaughter house only cares about the value of the horse's carcass, and better carcasses come from young and healthy horses (pleasure horses and racehorses, for example). Essentially, by fair means or foul, kill buyers need to satisfy their contracts and will purchase horses ready for slaughter. Unwanted: What Does That Mean? While slaughter does enable every horse to be "wanted" and provides a more fluid marketplace for low-end horses, let us establish what it means to label a horse as "unwanted". The pro-slaughter viewpoint is that all horses slaughtered are unwanted. We have noted above that it simply is not true. For the purposes of this discussion let us assume that an "unwanted horse" means it is unwanted by the horse's current owner, who is willing to take the least available economic return for the horse in order to dispose of the animal quickly. This does not mean the horse is unwanted by the public - as long as the market is able to find an owner that does want the horse. A case in point: Recently, a thoroughbred was for sale at Chino Auction, in Southern California, and was purchased by a rescue facility, Tranquility Farm, which outbid a kill buyer (horse slaughter is illegal in California, but there is still some illegal trade). The horse was rescued for $US250. As the horse entered the sale it was "unwanted". Fortunately for the horse it became wanted (purchased by the rescue) and upon further research the horse had true value as a Seabiscuit descendant and was transported to Ridgewood Ranch, a part of the Seabiscuit Heritage Foundation. The horse was clearly "wanted", but not all horses are so lucky. Many horses that are slaughtered are not "unwanted", they are simply "unlucky". The horse industry has come to rely on horse slaughter to help it remove unwanted horses and enable owners to focus their resources on horses that are in their prime. Horse slaughter also enables breeders to continue to breed horses knowing that their prime, a much shorter timeframe than their entire life, is all that matters as the owners have slaughter as a means of disposal. A horse that is stolen in Pennsylvania on Sunday can be sold at New Holland on Monday and will be slaughtered in Canada by Wednesday afternoon. It is truly unfortunate that this means of disposal also allows breeders to slaughter foals that do not have the perfect conformation necessary for their discipline. Thus slaughter enables over-breeding, while permitting the industry to allow breeding policies that are not consistent with demand. Breeders have an economic incentive to support horse slaughter. The National Thoroughbred Racing Association (NTRA) is a marketing and lobbying organisation for the horse racing industry. While the NTRA has implemented programs such as the RMTC and Unwanted Horse Coalition, it focuses most of its lobbying efforts on the racing industry as a business rather than the broader issues of horse welfare. While the NTRA is not explicitly pro-slaughter, its lack of active support for federal anti-slaughter legislationwhile it aggressively pursues other legislation is very telling. The reality in horseracing in North America is that the slaughter option complements the claiming system where horses trickle down the system and drop into the slaughter pipeline. The claiming system and slaughter option also make it very difficult for responsible owners to track their horses effectively, although an inquiry to the Daily Racing Form easily yielded the names of the seven horses who ran in preceding month for $US5000 or less and had made more than $US500,000! Cappucino Kid, a half-brother to Medaglio d'Oro and an earner of $US200,000 in his own right, is an example of a horse that slid down the claiming ranks and was in a feedlot awaiting his trip to slaughter before he was spotted and rescued. He now resides at Old Friends, a sanctuary for retired racehorses. Little Cliff, third in the Sir Barton Stakes on the Preakness undercard in 2006, is another. This despite his original connections marking his Jockey Club papers to request he be provided a safe retirement when he had finished running. The NTRA is rightly concerned with the integrity of the horse racing industry as a product. Allowing its stars to fall into the slaughter pipeline does not support the NTRA's focus on integrity. Using USDA documents related to the breeds of horses slaughtered and thoroughbred breeding records, one can estimate 37% of thoroughbred racehorses are slaughtered. Unfortunately, this number is speculative. While rules are in place that mandate that brands and tattoos of horses going to slaughter are recorded and included on an owner/shipper certificate (USDA CFR 88 Commercial Transport of Horses to Slaughter), this rule is not enforced by the USDA and the racing industry has not insisted this rule is enforced. Yes, and this is where I depart from the conventional wisdom of some of the anti-slaughter community. There are horses that are old, infirm, dangerous or an insurance and economic liability and simply need to have their lives ended. That being said, most horses are humanely euthanized by their owners to end their lives at the right time. Only one in eight of the horses that die each year are slaughtered (assuming 100,000 horses are slaughtered and about 800,000 die each year). There are two reasons to end a horse's life: it is no longer humane to keep the horse alive; and it is no longer economically viable for the owner to keep the horse, and he or she cannot find it a new home. The number of "unwanted" horses that cannot easily be rehomed that are slaughtered is unknown, and clearly not the same as the number of horses slaughtered, as the pro-slaughter community would have us believe. The downward turn in the economy is also being blamed for an asserted (yet unsubstantiated) increase in the number of unwanted horses and reported abuse cases.. There are unwanted horses, but the numbers are much fewer than those slaughtered. If we want to change the mindset of many people who find slaughter abhorrent, yet want to know what we should do with unwanted horses, we must first admit that this is a problem and seek out solutions. We should also be cognisant of the scale of the problem. In a tough economy, do we need slaughter? Recently, there has been much media coverage of abuse cases. It is easy to tie this apparent increase in abuse cases to the lack of domestic slaughter (currently there are no US slaughter houses in operation, horses are sent to Canada and Mexico to be slaughtered). Since slaughter still does remain an option and the number of American horses slaughtered in 2007 was only slightly lower than those slaughtered in 2006 (the number fell by only 14%), the assertion that recent apparent increases in abuse cases is a function of the absence of the slaughter option does not stand up to scrutiny. It is also worth noting a recent abuse case in Alberta, Canada in March 2008 which involved more than 100 horses. The Bouvry slaughter plant in Alberta is in close proximity to the horses involved in this case. Moreover, despite the large number of anecdotal cases seen in the press, the actual number of cases of abuse and neglect filed in the US per month actually dropped from an average of 12 cases involving 107.6 equines per month before the last slaughter plant closed to an average of only 7 cases involving 79.5 equines per month afterward. The downward turn in the economy is also being blamed for an asserted (yet unsubstantiated) increase in the number of unwanted horses and reported abuse cases. We should note that the economy is also being blamed for the increasing number of homes going into foreclosure, yet no one appears to label those homes as "unwanted". It is true we are suffering tough economic times, and horses are not cheap, but that certainly does not create an argument for the need for slaughter, and there is no evidence to suggest that if slaughter was more accessible (it is currently as accessible as the nearest horse auction), then horses that were being neglected would be slaughtered. In fact, one can make the argument that many abuse cases, stemming from starvation, are horses that are wanted yet their current owner does not have the economic means to care for those wanted horses. These owners would never see the option of slaughter as viable whether it existed or not and are likely afraid to sell their horses at auction because they know their possible fate. It also suggests that without the slaughter option, some of these horses may have been re-homed and consequently not abused. Without slaughter won't we see more abuse cases? It is certainly possible. It would be foolish to try to argue that no additional abuse cases would result if slaughter were ended entirely. We have not seen a relationship between abuse cases and slaughter numbers to date because we are clearly slaughtering more horses than the number of unwanted horses. When we stop slaughtering horses completely, we will have some unwanted horses, and it is very likely that some of those will be neglected, if we do not assign additional resources in order to manage the unwanted horse population. It should also be noted that the potential increase in abuse cases can not only be offset by additional resources assigned to manage that situation, but also by the decrease in abuse cases that currently stem from owners unwilling to relinquish their horses for fear they will end up in the slaughter pipeline, and by the increased capacity of rescues which will be able to adopt horses out more aggressively without fear the horses will be redirected to slaughter. If we are able to determine that there are unwanted horses and estimate the numbers, we are then in a better position to develop solutions for this problem that allow us to think beyond slaughter. Slaughter accounts for one in eight horses that die each year. Thus we need to increase our capacity to humanely end our horses' lives by less than 15%. If and when slaughter is ended, there can be no doubt that the price of horses sold at "loose horse" and low-end auctions will at least temporarily adjust downward. This in turn will increase the affordability to some buyers and will provide a disincentive to over breeding. So the supply of "unwanted" horses will diminish as it did in the 1990s. We should also note that a happy but resource-intensive consequence of a zero slaughter solution is the extension of an average horse's lifespan (a function of the group that would have been slaughtered that is now rehabilitated or simply re-homed to a new life and career). Solutions that include a disincentive to breed can counter the increase in the horse population that stems from increased horse rehabilitation and rehoming. A four-pronged approach appears appropriate. First we need to develop a robust humane euthanasia and disposal solution on a state-by-state basis. 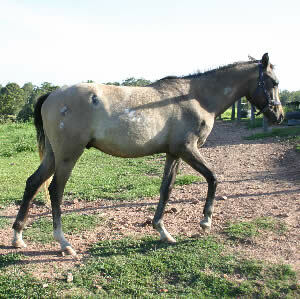 Humane euthanasia programs can be in place at horse auctions as well as horse rescues. Second, we need to identify additional resources to create incentives for horse rescues to absorb more horses that can either be retired or rehabilitated. Third, we need to attack the demand for horse meat with a marketing campaign that illustrates that horses are not fit for human consumption, according to the drugs that each horse has been administered over its lifetime (you can simply read the label on a commonly used worming product). 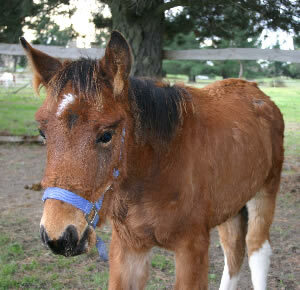 Breed programs can attach a surcharge when a horse is registered to the breed. This would not be unique to the horse industry. Another industry with a disposal problem, the tire industry, adds a surcharge for each new tire sold in order to pay for recycling the tire when it is not longer useful. Such a program will be economically insignificant compared to the $US39 billion a year ($US102 billion indirectly) that the horse industry generates. A surcharge can be applied each time a horse changes ownership and this change is registered with the horse's breed registry. Racehorses that are claimed are more likely to be at risk of slaughter, but can generate more revenue for retirement under this scenario. Racetracks can develop programs that support their athletes. There are already examples of this occurring (Fingerlakes, Philadelphia Park and Woodbine). Racinos which have additional revenue via their Casino contracts are in an even better position to support their athletes. Racing jurisdictions can develop programs for the retirement of horses that ran within their state. California is an example - .3% of purses distributed in California are earmarked for horse retirement and rehabilitation. This money is distributed by California Retirement Management Account (CARMA). The infrastructure is already in place to deal with a horse industry without slaughter. Horses can still go to auction houses whose business included horses going to slaughter. Rather than being bid on by kill buyers, rescues and private buyers, the horses will be bid on by rescues and private buyers. Only those horses with no bids can then be humanely euthanized or returned to their current owner. This scenario continues to ensure that a horse such as Seabiscuit's descendant will not remain languishing in a field, unwanted, but has the chance of being discovered by someone or an organization that wants her. As we move to this scenario, it will be important that auction houses and horse dealers receive the same compensation as they do now in order to incentivise them to participate in a post slaughter era. Horses are increasingly being sold on internet sites; those with no bids can be shipped to their local rescue or horse auction for humane euthanasia. Funds that are raised can be redistributed to auction houses for each horse that is euthanized. Money raised to support horse rescues can be redistributed via grants based on the number of horses rescued, the number of horses adopted out and the number of horses humanely euthanized. It should also be noted that a marketplace without slaughter will enable rescues to be more aggressive with adopting out the horses they rehabilitate. One of the significant risks of adopting out a horse, and therefore losing direct control over the horse, is that the horse will return to the slaughter supply chain. This risk will be eliminated. Ease of adoption will allow rescues to expand their adopter pools. This is fundamentally important to the expansion of the rescue industry. In conclusion, compassionate horse people do not want horse slaughter, but many have been convinced that it is necessary. "I would never send my horses to slaughter, of course not. But we do need slaughter as an option." This common response among horsemen indicates a personal distaste for slaughter as an option, and while the personal conviction of not selling horses for slaughter has merit, it only helps the person's horses until those horses are sold to another owner. The evidence clearly shows that horse slaughter is not necessary and has thrived as a function of the demand for horse meat in Europe and Asia. The horse industry has become lazy and has come to rely on slaughter as a convenient means to dispose of excess horses. But that is not why horse slaughter exists and we slaughter far more horses than those that are simply unwanted. We need to change the mindset that slaughter is necessary. Good horsemanship and stewardship of the horse, and good stewardship of the horse industry, is necessary. We should also acknowledge that without the horse, human civilisation would be very different. 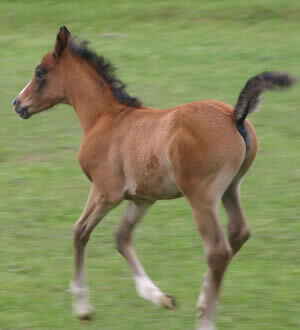 The horse has had more impact on human development than any other animal or technology. Caroline Betts, John Holland, Kerry O'Neill and Gail Vacca contributed ideas to the paper.